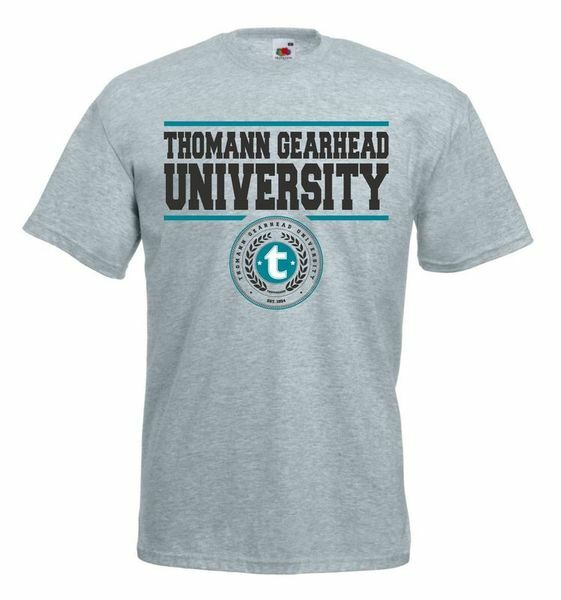 Print on front: "Thomann Gearhead University"
lucky enough to get a few T's from Thomman. This is my favourite, subtle credible logo and typeface, not obvious advertising. ID: 412278 © 1996–2019 Thomann GmbH Thomann loves you, because you rock!